Our host this evening is Randy Attwood. The following presenters and their topics will be showcased for the first part of the meeting. Park in lot 4 or the parkade, across from the fitness centre south of the Davis Building. (Parking rate: $2 per hour.) Enter through the Fitness centre, walk up the stairs until you reach the main corridor then turn right. (If you need an elevator, follow the corridor to the right of the stairs, then go up to the main floor.) Look for the Mississauga Centre sign in front of lecture hall SE2082 in the William Davis Building (AKA the South building). All of our meetings at UTM are free and open to everyone, however voting at the Annual General Meeting is for current membership only. After the meeting, join us at Crabby Joe’s at the South Common Mall for more fun. Shortly before Christmas, the RASC announced that Randy Attwood has been honoured with one of the first three Fellowship awards that the Society has conferred for extraordinary contributions to the Society over many years. The award of Fellow of the RASC is the most senior national award, and is given to those individuals whose efforts have played a significant role in the advancement of the Society’s goals. Congratulations, Randy. This award is very well-deserved. Pluto – is it a planet or not? 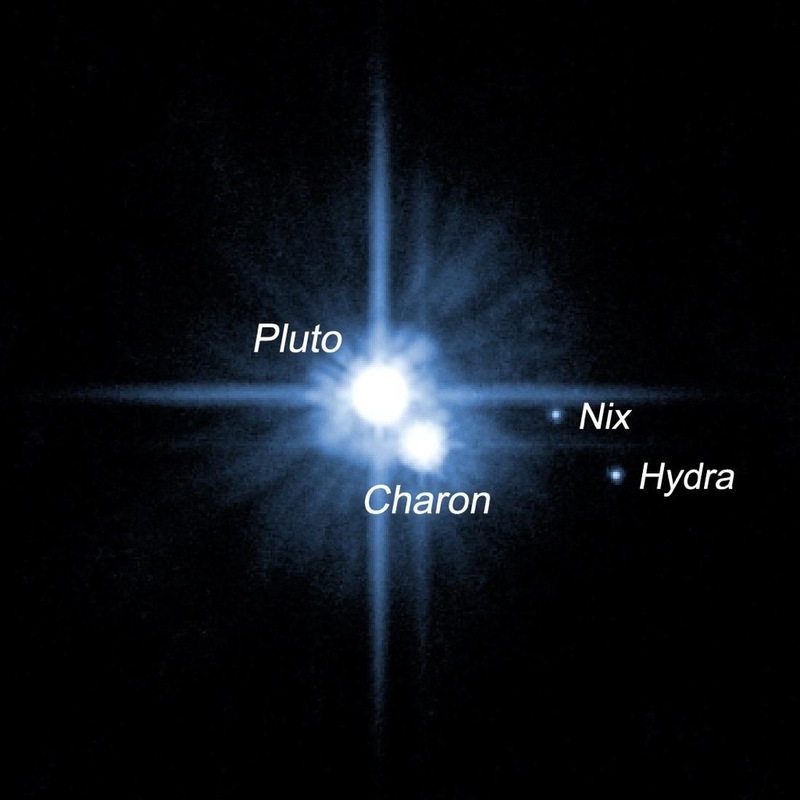 In 2006, the International Astronomical Union made a landmark decision that ultimately reclassified the object we call Pluto as a Dwarf Planet. The resultant responses from both the astronomical community and the people of Earth as a whole have been mixed. In this talk I lay out the journey we have taken thus far in our understanding of the Solar System by touring its various objects, understanding its history (both formation/evolution and research thereof), and placing the ‘Pluto debate’ into a much broader discussion: the use of the scientific method. Direct imaging is the new frontier in exoplanet detection and the means by which we will eventually discover a true Earth twin around a Sun-like star. In this talk, I introduce the instrumentation, observing techniques, and image processing methods used to directly image planets. I will describe in detail several imaged exoplanetary systems which have surprising properties, in particular their atmospheres/sources of emission. The next 5-10 years will see an explosion of new discoveries in this field due to the commissioning of ground-based extreme adaptive optics imagers capable of revealing young Jupiter/Saturn planets and (perhaps) molten super-Earths almost ten million times fainter than the host stars at small angular separations. I will close by discussing one such project with which I am involved: the Subaru Coronagraphic Extreme Adaptive Optics (SCExAO) project. Thayne Currie is currently a McLean Postdoctoral Fellow in the Department of Astronomy and Astrophysics at the University of Toronto. His research primarily focuses on imaging and characterizing young extrasolar planets around nearby stars. In the past year, he has played a leading role in identifying and/or confirming the nature of several imaged planet-mass companions, including the newly-announced ROXs 42Bb and the “eye of Sauron” planet Fomalhaut b. He received his PhD in 2008 from UCLA, conducting his thesis research with Scott Kenyon at the Harvard-Smithsonian Center for Astrophysics. From 2009 to 2012, he was a NASA Postdoctoral Fellow at Goddard Space Flight Center and has been at U of T for the past year. Thayne is originally from rural Kansas and first took an interest in astronomy from observing the night sky on the family farm. Abstract: Astrophotography is one of the fastest growing aspects of astronomy. Often though, it can be a very daunting and solitary hobby with a steep learning curve. Collaborating in astrophotography can have many benefits at any skill level. It can result in the creation of an image that is far superior than what one could create on their own, it accelerates the learning process and can make the hobby less solitary and therefore more enjoyable. In this talk, Kerry-Ann will discuss the various aspects of “teamwork” in astrophotography – from getting started, working with your partner effectively, and producing the final image. All of our meetings at UTM are free and open to everyone. Join us at 8:00 p.m. at The University of Toronto, Mississauga Campus, in lecture hall SE2082 in the William Davis Building. Park in lot 4 or the parkade, across from the fitness centre on the south side of the Davis Building. Enter through the Fitness centre, walk up the stairs until you reach the main corridor then turn right. (If you need an elevator, follow the corridor to the right of the stairs, then go up to the main floor.) Look for the Mississauga Centre sign in front of the lecture room. After the meeting, join us at a local establishment for more fun. Starfest 2013 in August was a great weekend of stargazing – clear skies for 2 evenings, lots of interesting lectures during the day and hours of camaraderie and good times.